"Ideal for beginner and intermediate families, the Chalet Hotel Elisabeth is right on the slopes in this excellent resort. 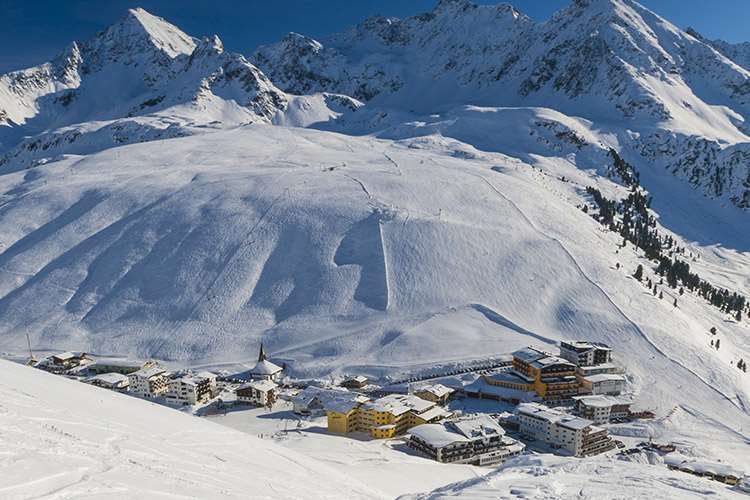 Kutai has to the great advantages of a very short transfer time and snow-sure height above 2000m, making the Chalet Hotel Elisabeth our highest chalet in Austria." The short transfer, coupled with being right on the piste with the main ski lifts close by, mean you really can maximise your time on the slopes at the Elisabeth. This popular Chalet Hotel has a welcoming lounge to relax in after skiing and a pizzeria on the lower ground floor. Fantastic value packages are available for beginners, groups and families. The hotel is in a great location and the staff were a wonderful, united team. We had an excellent time, the food was superb and the weather and snow conditions were great. The only downside was that, as seen in earlier reviews, Kuhtai is best for skiers of good intermediate standard. Several of our group were of lower intermediate ability and we found that Hochoetz was more suited to them. Once we found the blue slopes in Hochoetz, it was possible for lower intermediates to ski with more confidence. We took a last minute deal so were somewhat sceptical about the hotel. The pictures do not do it justice. What a surprise we got. On arrival we were made very welcome with all our bags disappearing to our rooms. Our room was very spacious with a full view up the slopes. The food was something else: excellent cuisine up there with the best. Quality wine in plentiful supply all included in the price. The manager organised all our ski hire and equipment... nothing was too much trouble. He even took guests on guided tours of both resorts. We highly recommend this hotel for its excellence and quality. The resort was quiet with no queues for the lifts. The skiing is varied with something for everyone. We will definitely visit here again.